Des Bendall, a client of Vector Health for more than 8 years is one of our main inspirations behind this program for people with Type II Diabetes. Des is a character whose influence will live on. His story of how he has managed and controlled his diabetes with exercise proves that anyone can help themselves. Des has inspired us at Vector Health to set a goal of helping 1000 people from Central Queensland with Type II Diabetes by 2024. We want to teach you how to exercise based on science, but provide an experience that helps you feel like you are valued and where you feel like you are given unrivalled care whilst learning how to exercise. It does not matter whether you are 14 or 94, we want everyone to have the same experience and to be able to take valuable skills away from our program. Hi, my name is Glenn Hansen, Owner at Vector Health and Performance. For more than 15 years I have a massive passion for helping people improve their physical capacity including people with chronic conditions such as Diabetes and Cardiovascular disease. Life is a journey and it takes lots of different twists and turns. Illness can be one of those turns. In all my study and research, I have been disappointed with the lack of genuine support for people when they do have an illness that can make it really hard to exercise, especially going to the gym and feeling like there is no-one that understands or can help you. Increase self-confidence in starting and finishing a 6 week exercise program. Decrease anxiety about what exercise to do, and how to perform the right exercises to help YOU. An example of a real life scenario of where knowledge is power: One of my clients was walking on a treadmill at another gym. They had been in the gym for 3 weeks and were slowly getting used to what to do and how to do it. A personal trainer came up to this person and suggested that they ran on the treadmill instead of walking to “burn more calories.” Little did they know that this client had a lung condition, meaning if they ran, it is likely that they could have become very ill, very quickly. I want to stop this sort of thing happening, by directly educating YOU, the clients on how to manage these sorts of situations and how you can do exercise in the comfort of your own home first, very effectively. My client managed to avoid becoming ill, because they were very well aware of their medical limitations and were not afraid to tell the personal trainer this. This program will safely improve your health as quick as possible get you back to doing what you love most. We have tailored programs to help you achieve your goal whether it be not knowing what exercise you can safely do without causing a hypo reaction or simply going back to physical activity after cardiac surgical procedures. If you have a cardiovascular risk factor such as hypertension, high cholesterol or have had a surgical procedure some years ago and need to get more physically active to improve your health, this program is for you. Likewise, if your Blood Glucose Levels are always fluctuating, you are continually having hypo attacks and have been told to exercise but are feeling anxious about exercise, we are here to help and support you. Possibility the most important. Train in an environment where no one judges you for having a medical condition, instead supports, encourages you and picks you up if you falter. It has been demonstrated across numerous studies that regular exercise can help to improve mental health, reducing anxiety and depression symptoms. 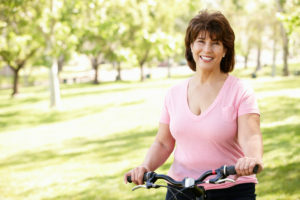 How do I get involved in a Diabetes and Exercise Program? Referral from your General Practioner, or Physician to our Program. You can call, book a time for an intial consultation and claim on Private Health if elligible.